Famous car collector Michael Fuchs became the owner of exclusive Dawn in color Fuxia. By the way, this is his eleventh Rolls-Royce, and the first he bought back in 2005. Needless to say, all 11 cars were largely personalized - specifically to meet customer tastes. Dawn in an unusual color debuted at Pebble Beach Concours d'Elegance, where it attracted looks side by side with the same color McLaren 720S, which also went to the rich lover of luxury cars Michael Fuchs. 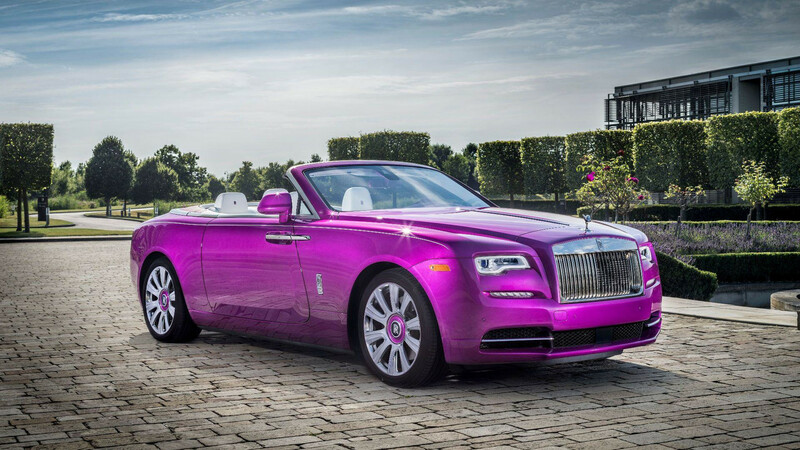 A distinctive feature of this car is the unique color of Fux Fuchsia, originally developed by Rolls-Royce specialists commissioned by the collector Michael Fuchs. The same customer (by the way, the owner of this shade) initiated the creation of "McLaren" 720 S in the same color. Without the consent of Fuchs this coloring on other cars of the brand can not be used. Meanwhile, we want to ask you: Ever wondered how many color options are available for a new Rolls-Royce already from the factory? Do not be surprised that the list - more than 44 000 shades!